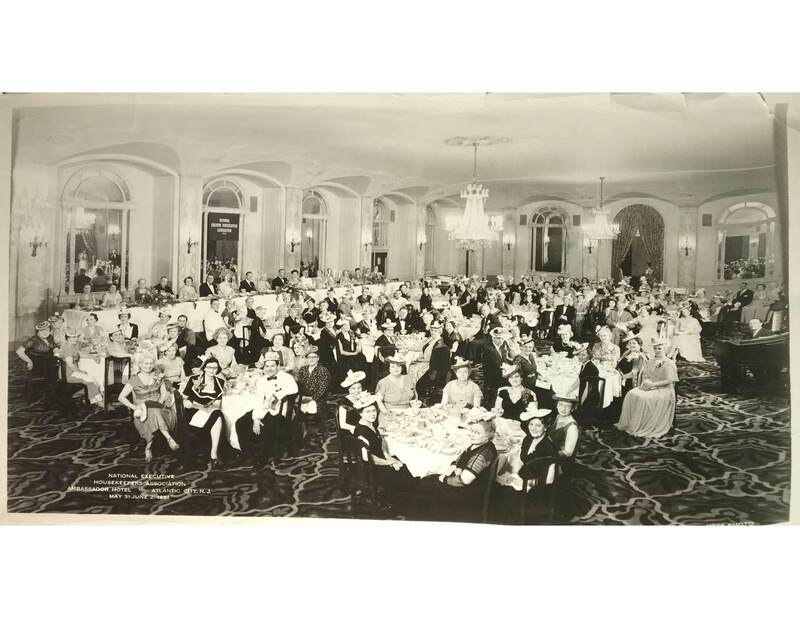 On Nov. 1, Margaret Barnes organizes the first meeting of a group of executive housekeepers at the Roosevelt Hotel in New York City and the National Executive Housekeepers Association (NEHA) is officially born. In May, NEHA holds its first Congress or Convention in New York City. In May, NEHA holds its third Congress in Chicago at the recently constructed “furniture mart” or Merchandise Mart. NEHA holds its Congress at the Hollenden Hotel in Cleveland, Ohio. 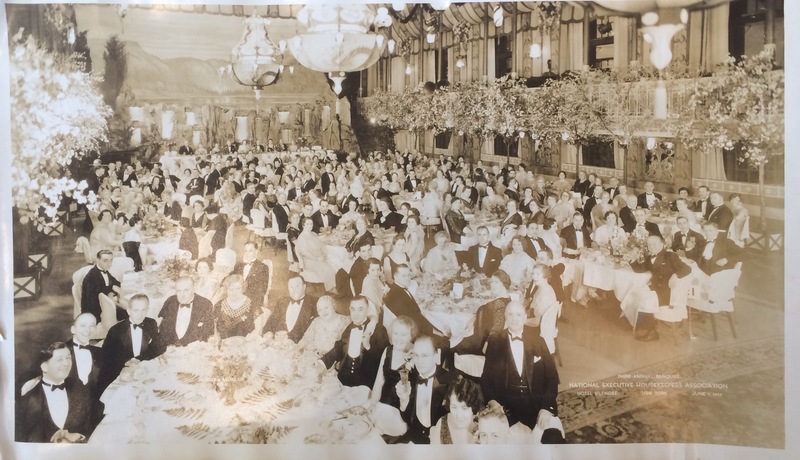 Margaret Barnes was there, and she "should have had a revolving table so that she could sit beside more people at the same time." The delegates and alternates visited G.E. Laboratories. 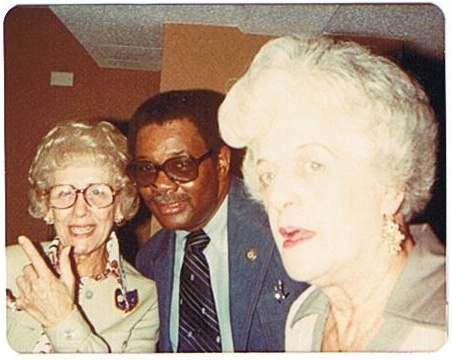 On September 9th, NEHA founder Margaret Barnes passes away suddenly. Members pause for a moment of silence at the Congress held in Washington D.C.
NEHA leaders decide to hold Congresses on even-numbered years at the Congress in New York, starting a four-decade string of biennial Congresses. NEHA holds its Congress in Denver, Colorado. 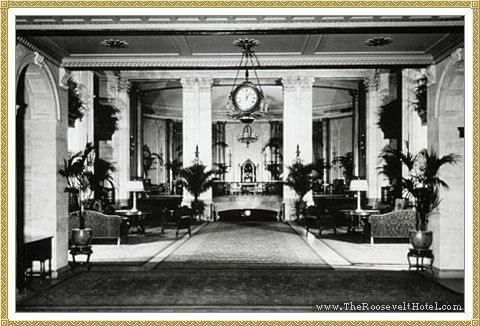 NEHA's New York Chapter holds its Spring Meeting at the Hotel Astor in New York, NY. NEHA holds its Congress in Houston, Texas. IEHA votes to allow men into the Association. First issue of NEHA News prints with President Rosalie Soper, current President and Editor. 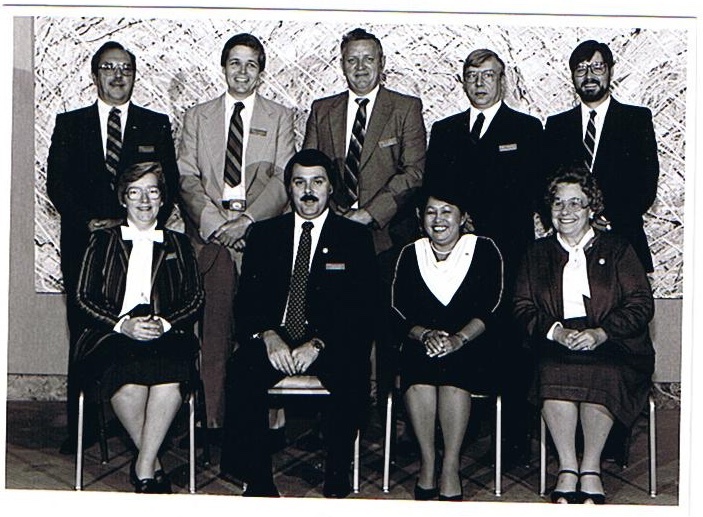 The first officers of the Central Michigan Chapter. 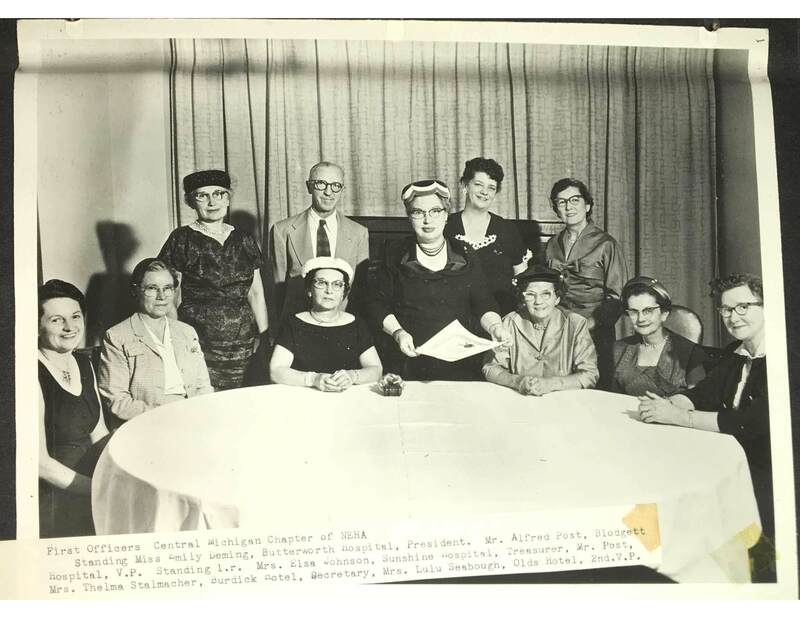 In that same year, NEHA holds its first documented Congress on the West Coast in Los Angeles, Calif. and the first education program was established. 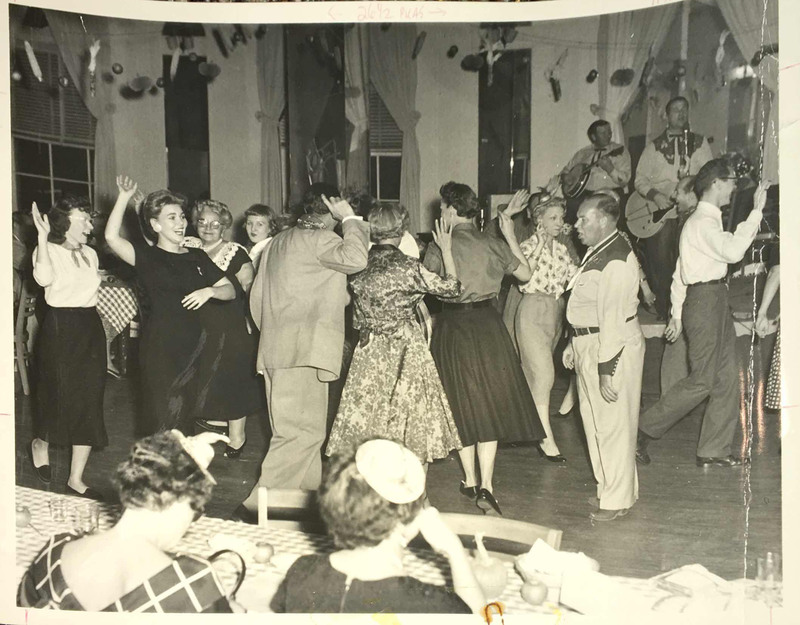 The New Jersey Chapter holds a Barnyard Dance at the President Hotel in Atlantic City, which attracts 300 attendees. 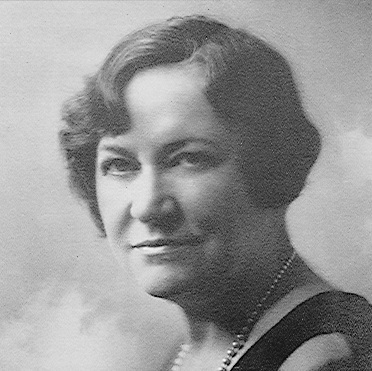 The subject of men as members of N.E.H.A. 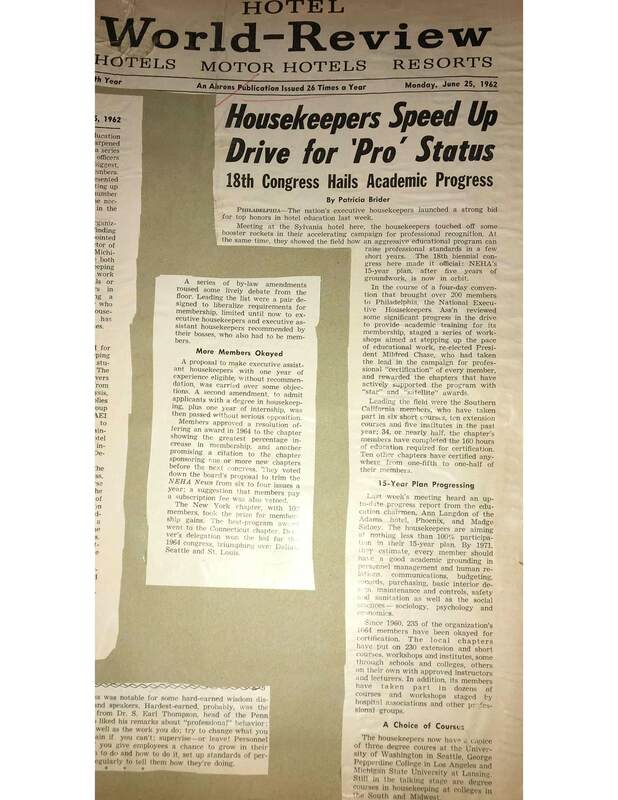 attracted the attention of the 1958 Congress when President Rosalie V. Soper reported that the organization had 42 male members in 17 Chapters along with four men categorized as non-residents. Cleveland had four men, Kentucky five to lead all chapters along with the five in Massachusetts, and three in San Francisco, as examples. 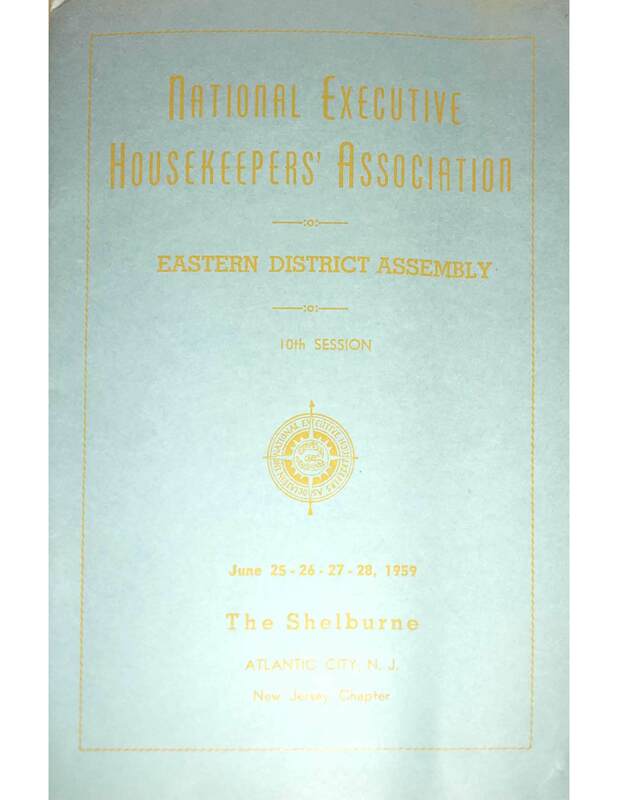 The cover of the Eastern District’s Convention Program, held June 25-28 at The Shelburne in Atlantic City. An article published in Hotel World-Review highlights NEHA’s 18th Congress and future plans for growth and development. 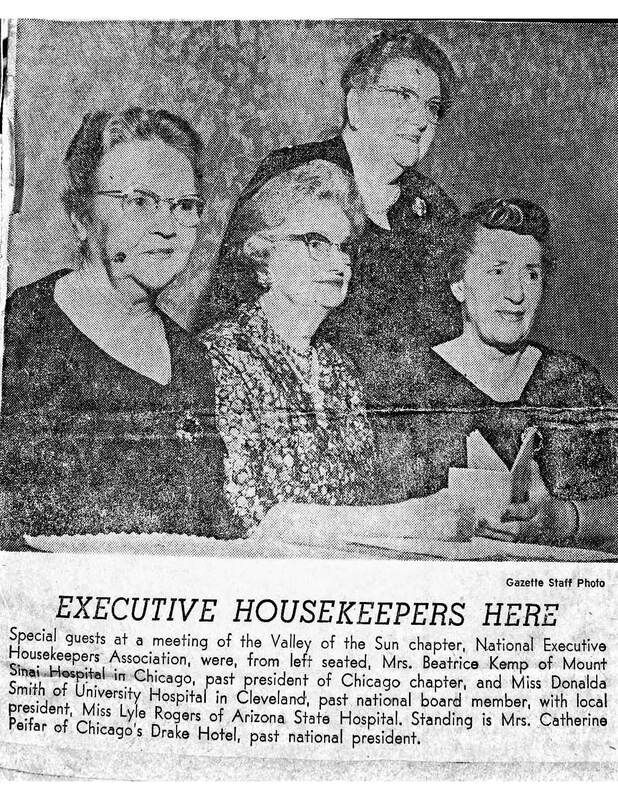 NEHA News changes its name to “Executive Housekeeper.” The cover had a picture of the new medical center at the University of Kentucky and a photo of Seth E. Taylor, the executive housekeeper, who had joined the national board in place of a resigned woman, Willard K. Tew. In May, NEHA establishes its first national office in Gallipolis, Ohio. 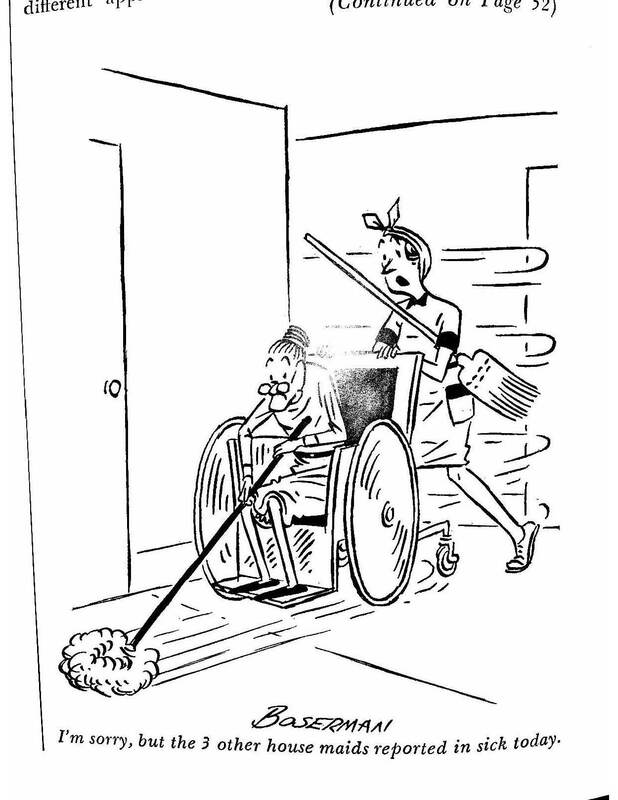 A comic appearing in the Executive Housekeeper magazine. The Education Foundation is established. 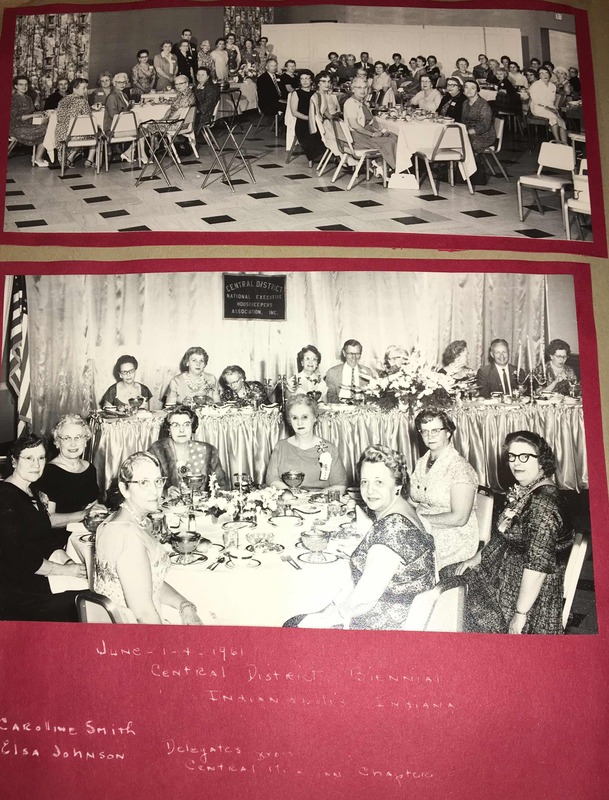 A local newspaper highlights special guests at the Valley of the Sun Chapter meeting. 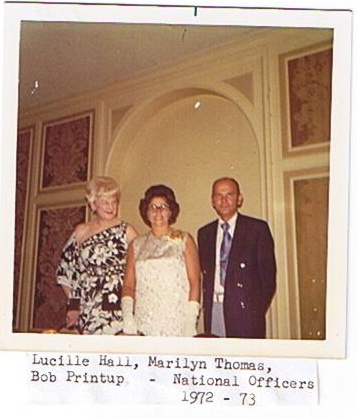 NEHA’s National officers (from left) Lucille Hall, Marilyn Thomas and Bob Printup. NEHA’s 320-hour education program is established. The results of NEHA’s first-ever salary survey are published: The national average on the basis of almost 400 questionnaires was $11,632 on a range of $3,700 to $25,000. Males received $1,500 more than the average and females $1,600 less. 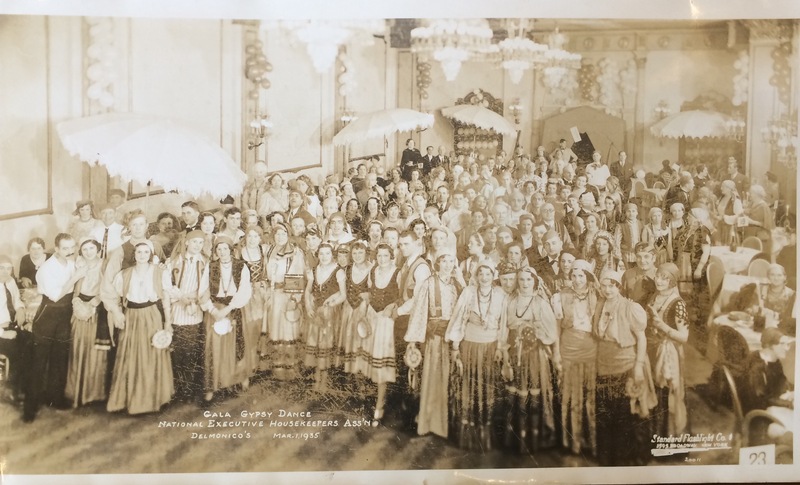 Attendees to the Spring Congress. 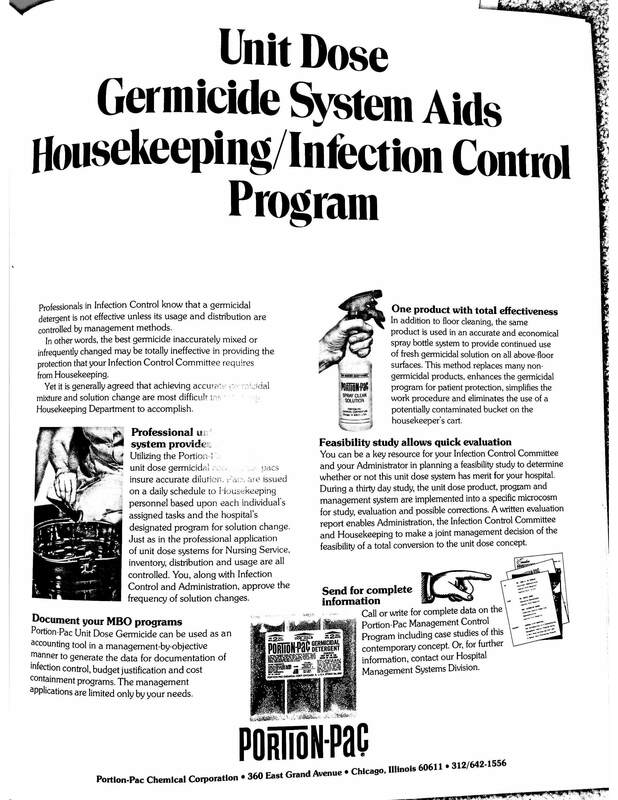 A PortionPac ad appearing in an issue of Executive Housekeeper magazine. The first International Housekeepers Week is held. NEHA’s first collegiate education program is established on July 1. NEHA’s offices are relocated to their current location in Westerville, Ohio. In that same year, NEHA’s 330-program (now known as the Professional Education Credentialing Program or PECP) was created. NEHA’s Board of Directors kick off the Association’s tradeshow in Boston, Mass. 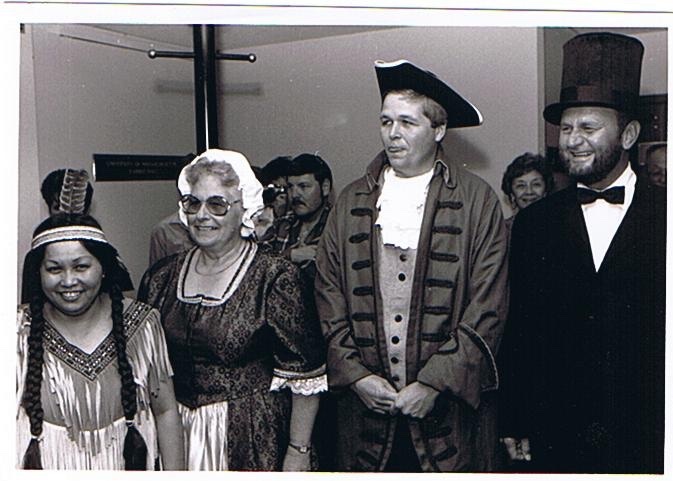 From left: Rose Galera, Betty Barger, Harry Kendrick and Fred Day. 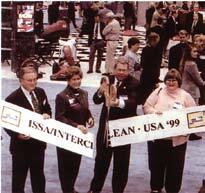 NEHA holds its first conference and convention in conjunction with ISSA/INTERCLEAN in Chicago. NEHA becomes the International Executive Housekeepers Association with the creation of the Aruba Chapter on January 27. IEHA votes to eliminate Districts. IEHA rolls out the advanced Master’s Education Designation, with John Poole, MREH receiving the first designation. IEHA's PECP Credentialing Program and EHT Magazine move to updated online formats. IEHA's 2016 Boot Camp Road Show Launches.